Food allergy symptoms run the gamut from mild to severe, says Marla Ahlgrimm. Some people present with a mild stomach ache, hives, or general feeling of malaise while others experience a life-threatening response known as anaphylaxis. The latter can be fatal and must be treated with epinephrine via injection immediately. Other symptoms of allergic reaction include coughing, wheezing, shortness of breath, swelling of the tongue, and vertigo. Food allergies are an equal opportunity health issue, says Marla Ahlgrimm. Neither gender nor ethnicity seem to play a role in who will develop an allergy over the course of a lifetime. However, those with a family history of allergic disease are more likely to suffer from food allergies. Ahlgrimm notes that children with food allergies are up to four times more likely to present with other related conditions such as asthma. 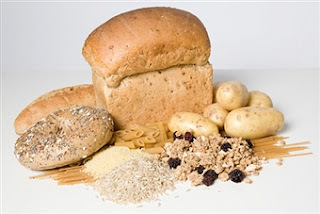 Atopic dermatitis and other allergic conditions can also be triggered by food sensitivities. A proper diagnosis is essential in order to manage food allergies, concludes Marla Ahlgrimm. Allergies cannot be cured, so an understanding what causes an adverse response is vital to maintaining quality of life. A board-certified allergist is the most qualified to diagnose specific food allergies.